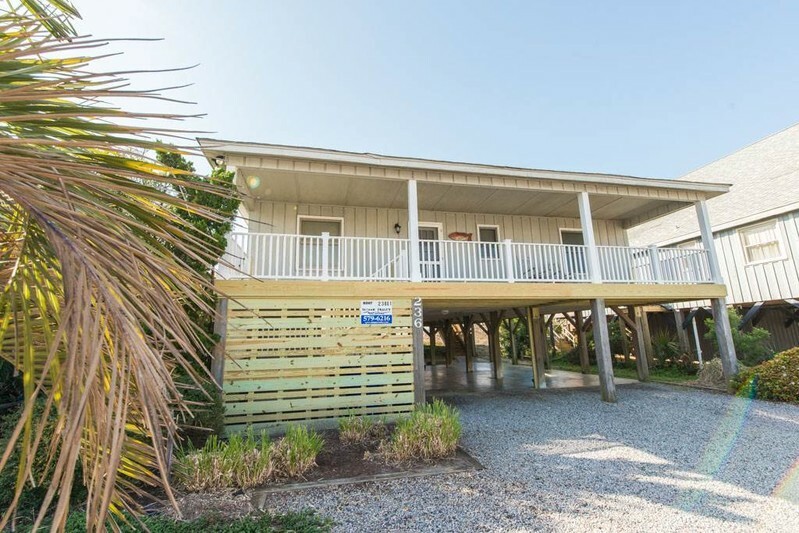 Sleep 12 in this 3 bedroom, 2 bath well maintained, super-cute oceanfront cottage with open floor plan! Partially covered deck to take in the magnificent views of the Atlantic Ocean! Outdoor shower and bench area on the NEW private walkway to the ocean. Additional amenities include large flat panel television with DVD player, wireless internet access, and phone for local calls. New fully equipped kitchen with with stainless steel applainces, dishwasher, Washer/Dryer, Microwave, two outdoor showers, rockers for the porch, comfortable seating, large dining room table to accommodate your family. Great cottage to enjoy your next vacation! Sleeps 12. Bedding: 2 Doubles, 2 Doubles, 1 King, Regular Sleeper Sofa. Non-smoking, no pets.